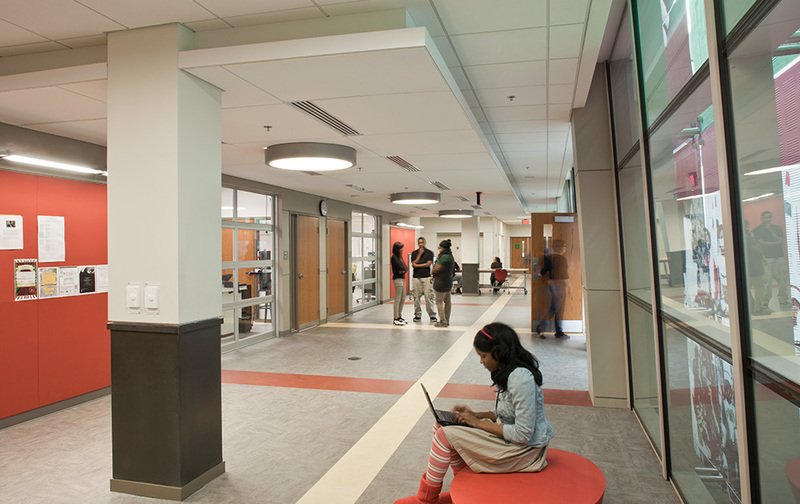 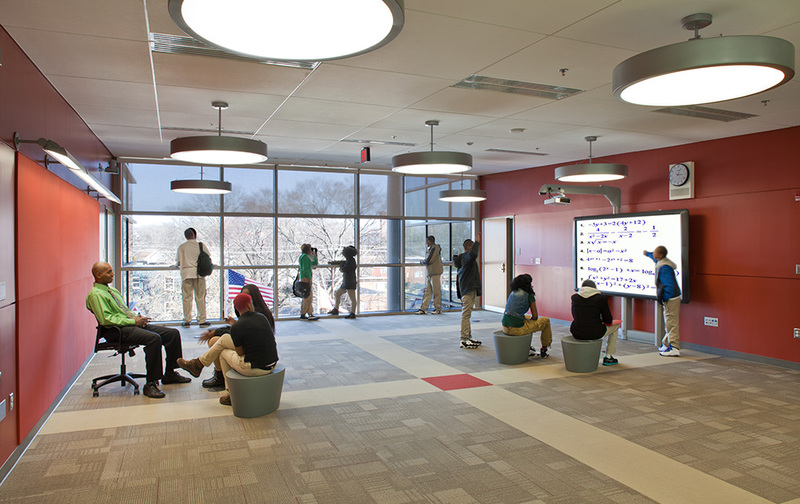 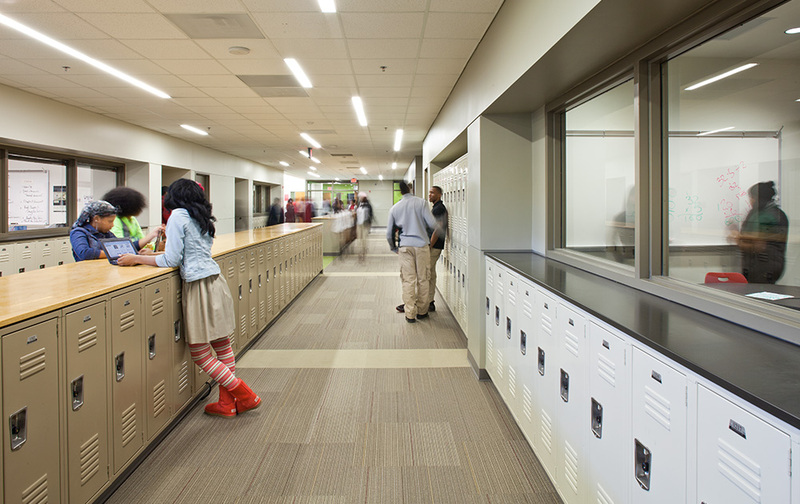 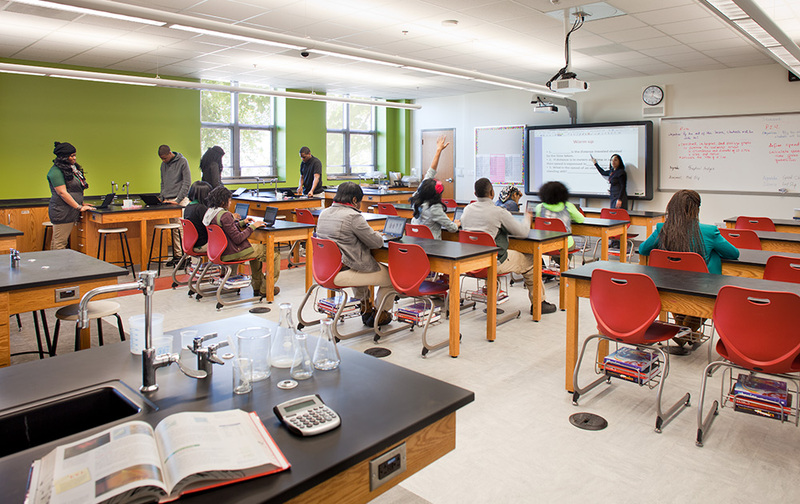 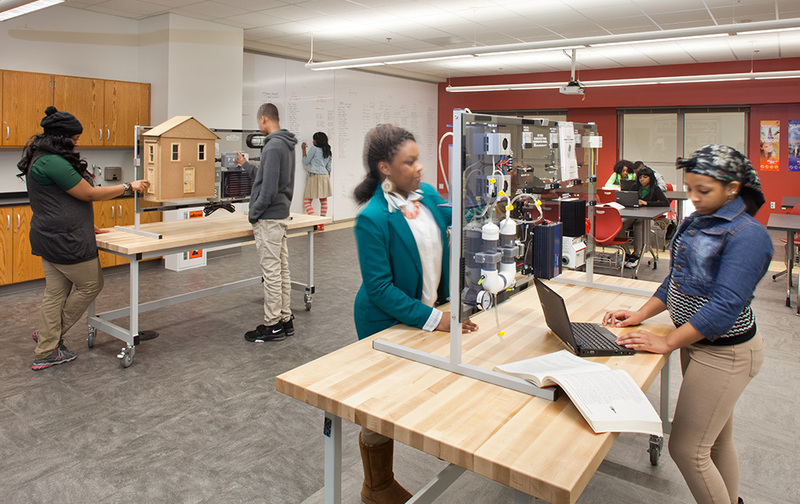 The Howard D. Woodson High School was designed to support a progressive curriculum based on Science, Technology, Engineering and Mathematics (STEM). 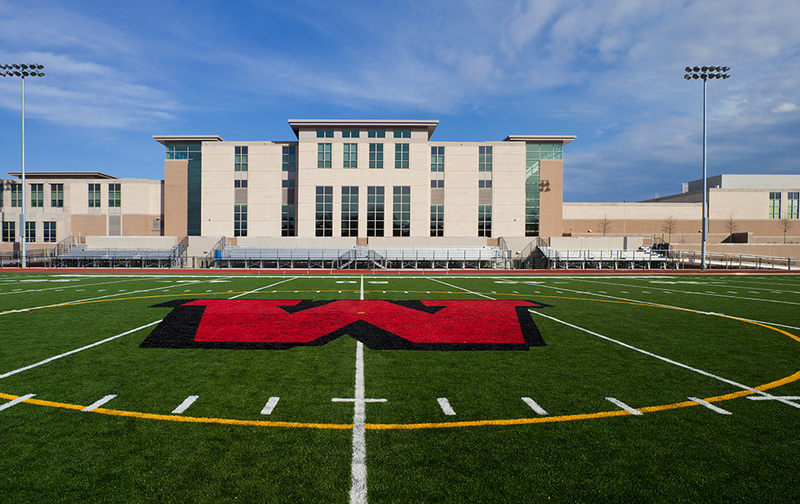 The new, 231,000 square foot, three-story school features four distinct learning communities, supported by an advanced technology infrastructure. 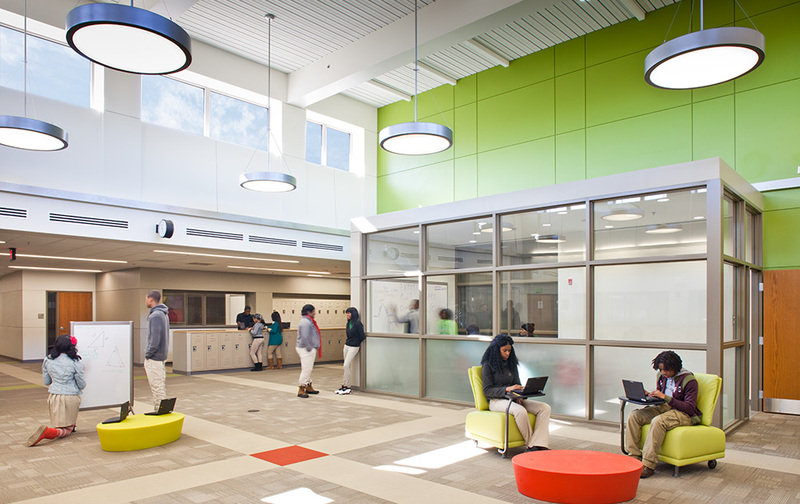 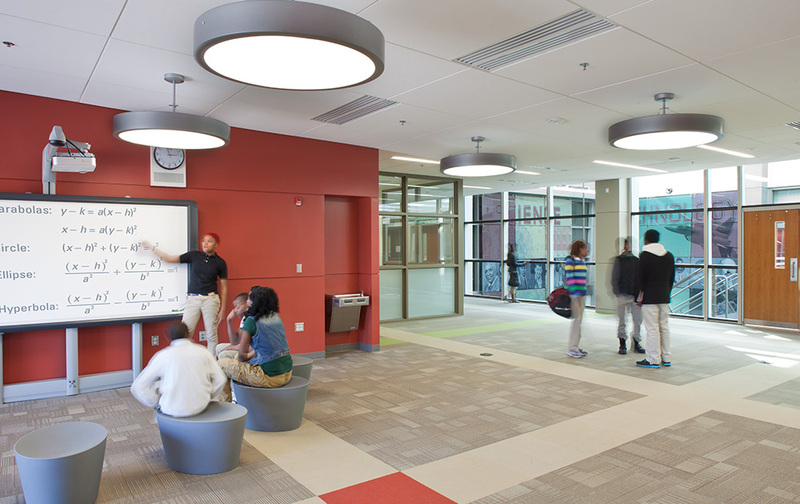 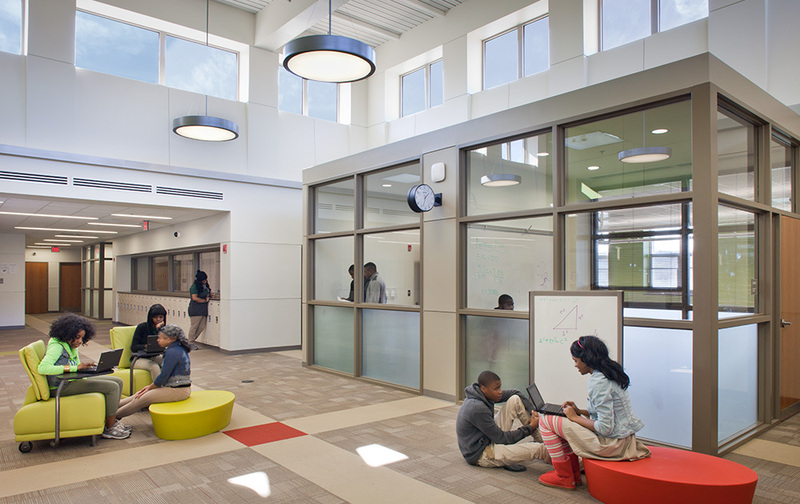 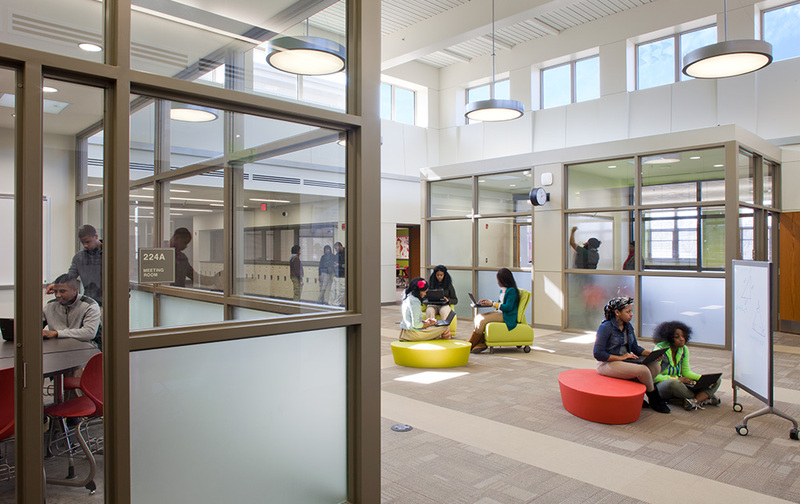 Each educational community includes an integrated learning suite, with laboratories and break-out areas surrounding a gathering space. 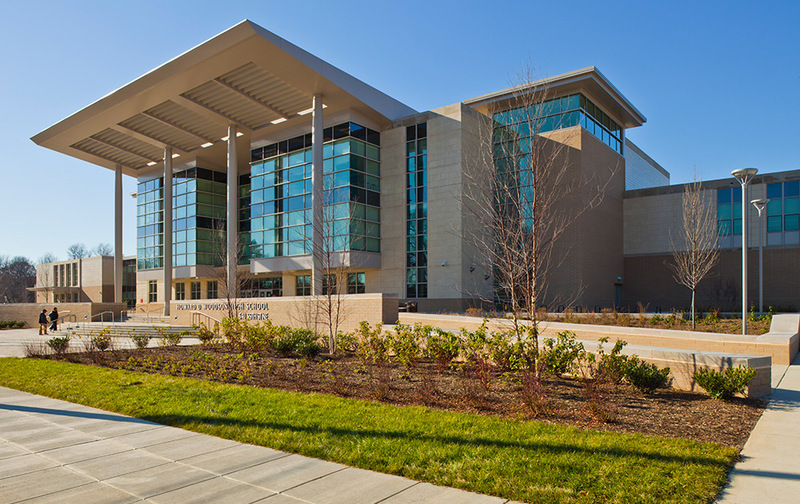 The campus includes a 1,000 seat, proscenium-style theater, with a raised stage, dressing rooms and support spaces. 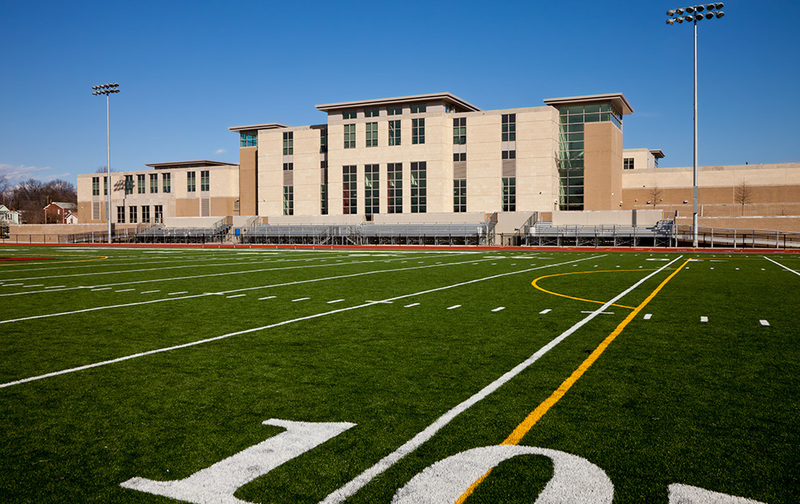 Its athletic facilities include an eight-lane, swimming pool with separate community locker rooms, two gymnasiums, a football stadium with bleachers, ticketing and concessions buildings, tennis courts, a softball field, and practice fields. 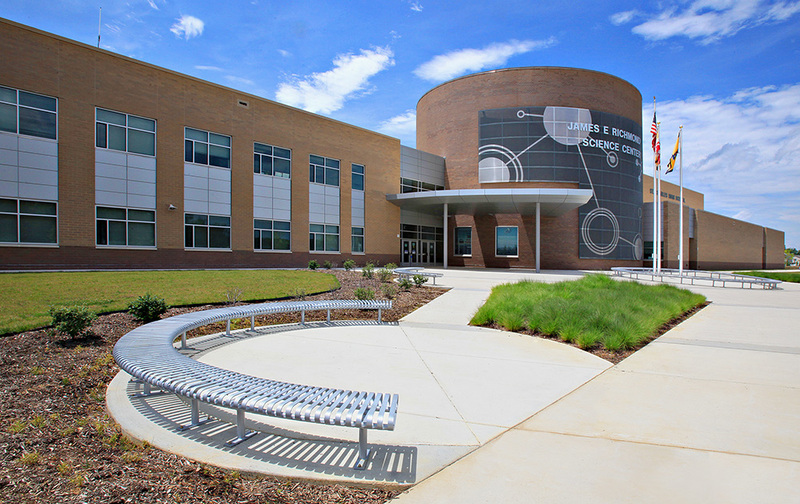 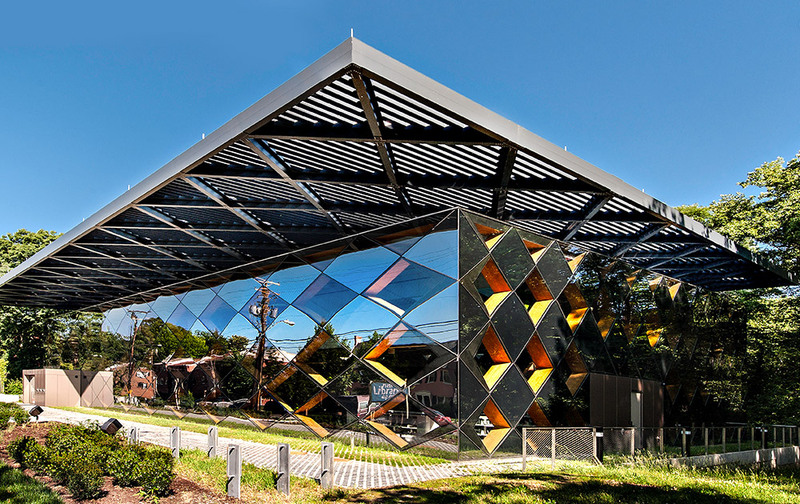 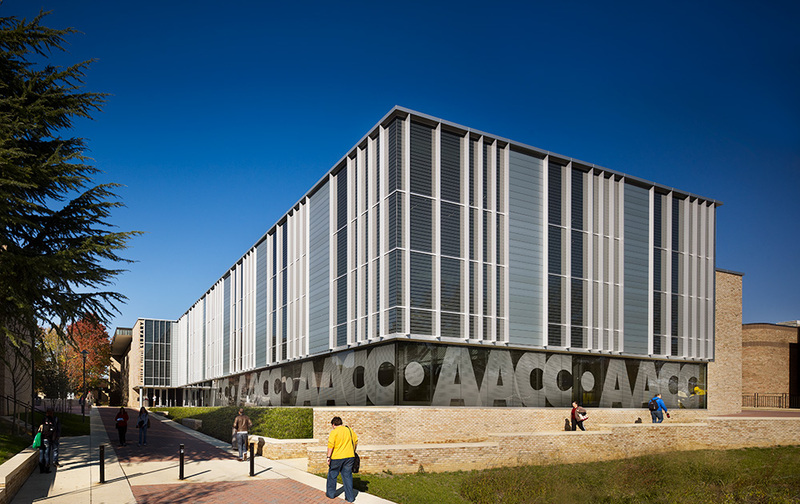 The new school was designed to achieve LEED Gold certification and features a green roof, rainwater harvesting system, high-performance glazing, super-insulated perimeter envelope, daylight harvesting, water conserving plumbing fixtures, and the use of salvaged building materials and materials that emit lower volatile organic compounds. 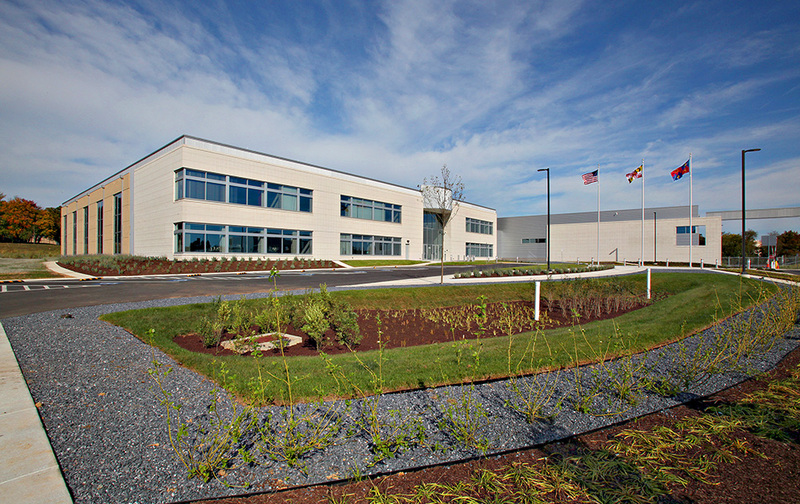 Further supporting the effort to achieve gold certification, HESS successfully diverted 95% of the construction waste from the landfill through recycling and reuse.